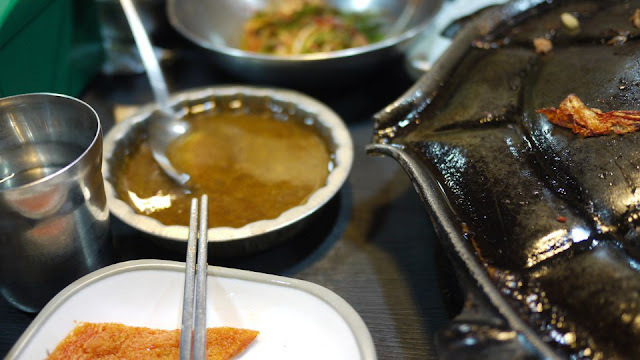 the canDIshhh tales: Best Korean BBQ in Gangnam, Seoul! 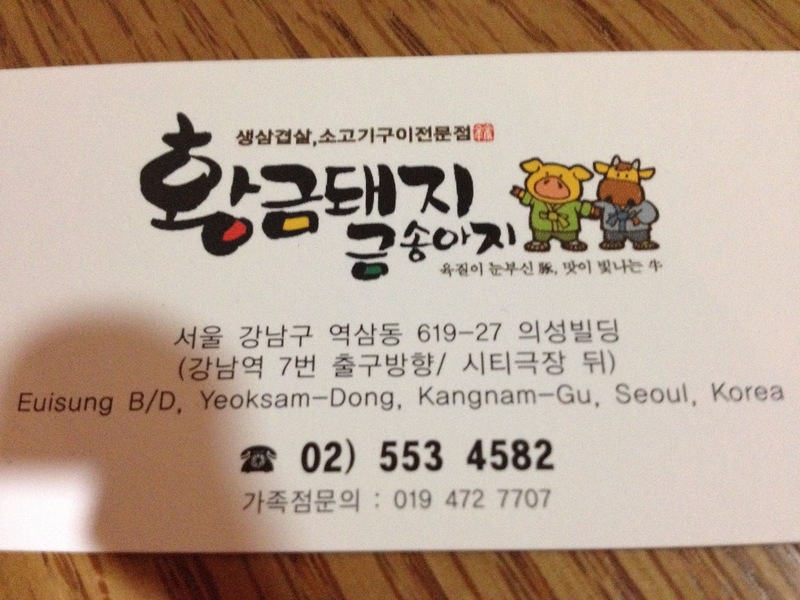 This is my FAVORITE restaurant in Seoul, South Korea. 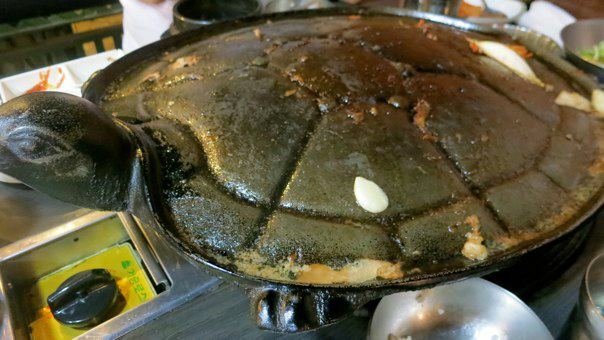 I have no idea what the name is, but this is all I remember - the cooking pan is shaped like a turtle - with its tail as the oil drain. 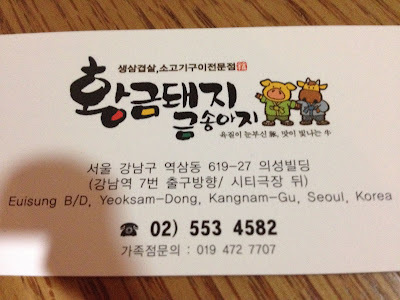 My friend Diane brought us here for dinner (last October 2010) since we wanted samgyupsal. This place was quite far from us since we stayed across the Han River, but nevertheless - my Panget and I braved the trip and went to meet Dye at a specific location. She then led the way up an alley to a building where the restaurant was located - we went down, because it was in the basement. I had no expectations on the restaurant, but since my Panget and I were hungry - we had Dye do the ordering and we ate - EVERYTHING. What was funny was, Dye just watched us eat - she literally did because she said that she already(she was with friend or relatives - I couldn't remember) ate before meeting us. The food was DELICIOUS! 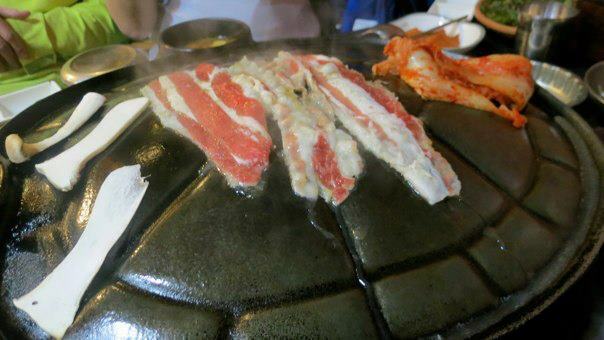 It was a simple Korean Barbeque but everything tasted wonderful, my Panget and I had to order seconds and thirds! I couldn't put into words, how much I enjoyed the meal. It was very good and memorable. One thing I forgot was - to get a calling card. And so when I went back home, it was just in my head. I knew that there was a Uniqlo nearby and a store called Artbox that sold whatever things like notebooks and shirts and abubuts. The Food Club planned for a Korea trip last year, and my Panget and I were the last recruits. My Panget and I wanted to see Seoul again, and since the Club was going - we decided to go with them. And when everything was confirmed, I secretly wanted to go back to this particular restaurant, but honestly didn't know how to. So I tried searching online - but I honestly didn't know what to search for. 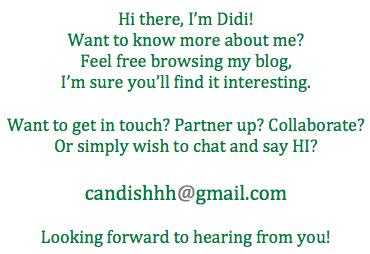 But then on my last try - I think I found the site! I was unsure at first, but when I saw the cooking pan that was in the picture and the oil drain pain - I was convinced that I finally found it! Here's the article that I found online on the restaurant. I printed this article out and brought it with me to Seoul. I told my Panget and the Club that I wanted to eat here, that for sure I will look for this place (no matter what). Since my Panget and I were only staying for 4 days - I swore to eat there again. When we got to Seoul - the chances seemed bleak as out flight was delayed plus we wanted to visit a lot of places with The Club. The day we visited Everland, I inisted to my Panget that I wanted to go home early - because I really wanted to look for this particular restaurant. I knew it was a longshot - but what the heck, I didn't care - I really wanted to go. So when we were on our way back from Everland- I knew that our bus will drop us off at Gangnam. The problem was, I had to idea where in Gangnam it was. When we got off the bus - my Panget, Jane and Grace were game enough to look for the restaurant with me. I was secretly hoping that we didn't need to walk very far, I also hoped that we won't get lost! With the article in tow, I entered the Uniqlo store - hoping to get some information. The staff that helped us was very nice - he turned on the map feature of his iPhone and tried to guide us, but to know avail. He just pointed us to the direction where Exit 7 was. And so we left the store and walked, I was realizing that my search might be futile because - I had to idea where it was! I mean, I knew the location BUT i didn't know exactly where it was. I just knew there were those Media Poles around. We walked further for about a few seconds and then I noticed the Artbox store - and then it suddenly occurred to me that this was the right place! The street we were about to cross looked very familiar - I then declared that this was it! This was the place! We walked up the street and there it was - THE RESTAURANT I HAVE BEEN THINKING ABOUT AND LOOKING FOR!! We went down the stairs and entered the restaurant - THIS WAS REALLY IT!! This was really the place. 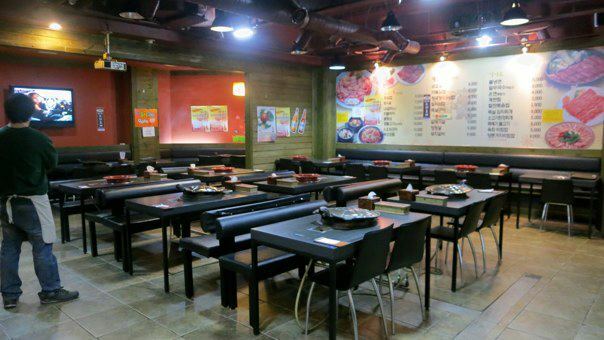 The restaurant underwent renovations - because the last time we were there - it looked old - now it looked spanking NEW! :) I was so excited that I found the place - I was GIDDY with excitement, ask Jane and Grace! We then proceeded to order - and when our orders came - we ate them all up! I was so happy that Jane and Grace liked the place too!! :) Yehaaaaaaa!! To Grace and Jane - I hope you enjoyed eating here as much as my Panget and I did. The food was fabulous, the wifi connection was unbelievably fast and the company - it was the BEST!! :) So glad I was able to enjoy it with you!! All images excpet the top most and the calling card above is courtesy of Jane of Between Bites!! Thanks Janey!